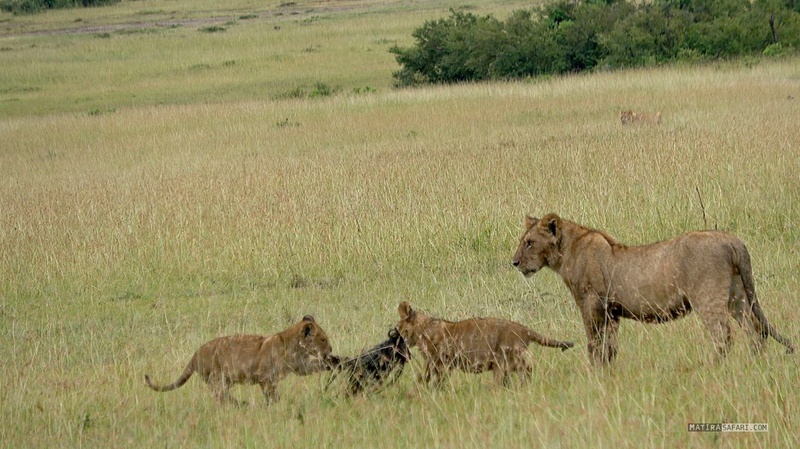 As soon as the hyenas have made a good catch, the Lookout Pride lions dispute the roast. 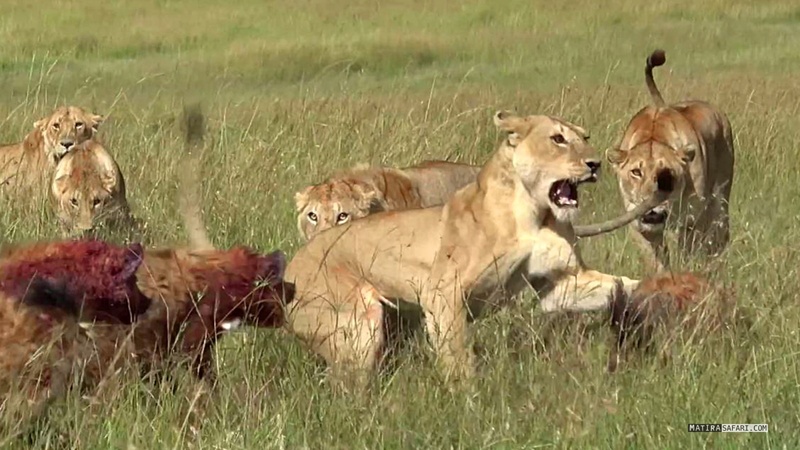 With great excitement by the scavengers and strong signage of the lions, they ultimately have no choice and need to share the meat with the big cats. It could have been worse. At least nobody stays hungry.